The right blend of web conferencing, voice, and video enables teams to work more intuitively than ever before - from anywhere, at any time. Read Gartner’s insights, and see why Cisco is a Leader. 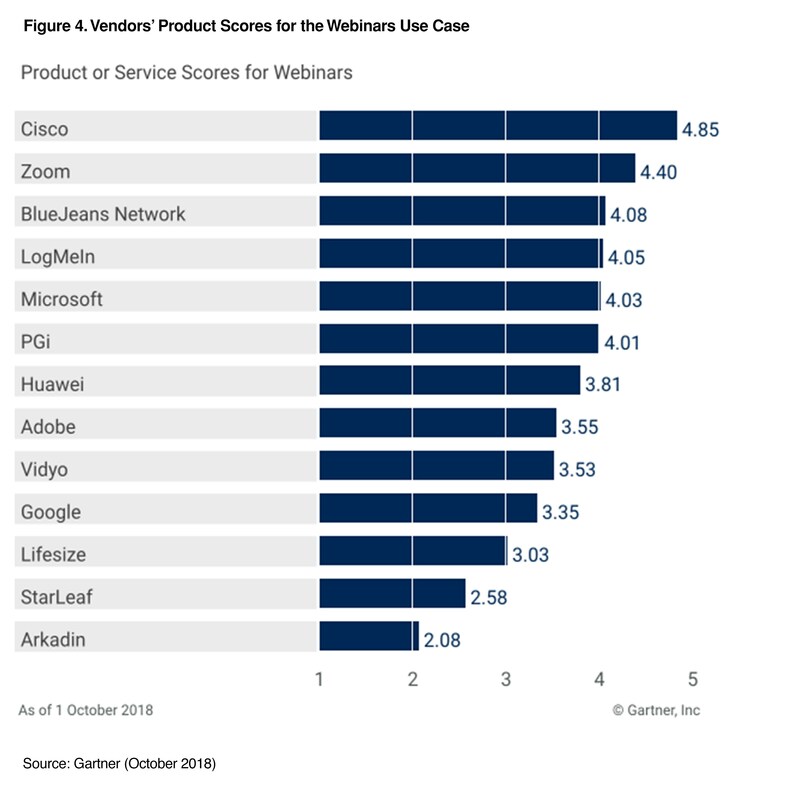 Read the latest Gartner Magic Quadrant for Meeting Solutions report, and we believe you’ll get insight on how Cisco’s meeting solutions can help your organization. In the Critical Capabilities for Meeting Solutions report, Cisco received the highest scores in 4 out of 4 Use Cases. Read on to learn why we believe this makes Cisco an ideal match for your meeting solutions and collaboration needs. Complete this form to access your complimentary Gartner reports from Cisco. 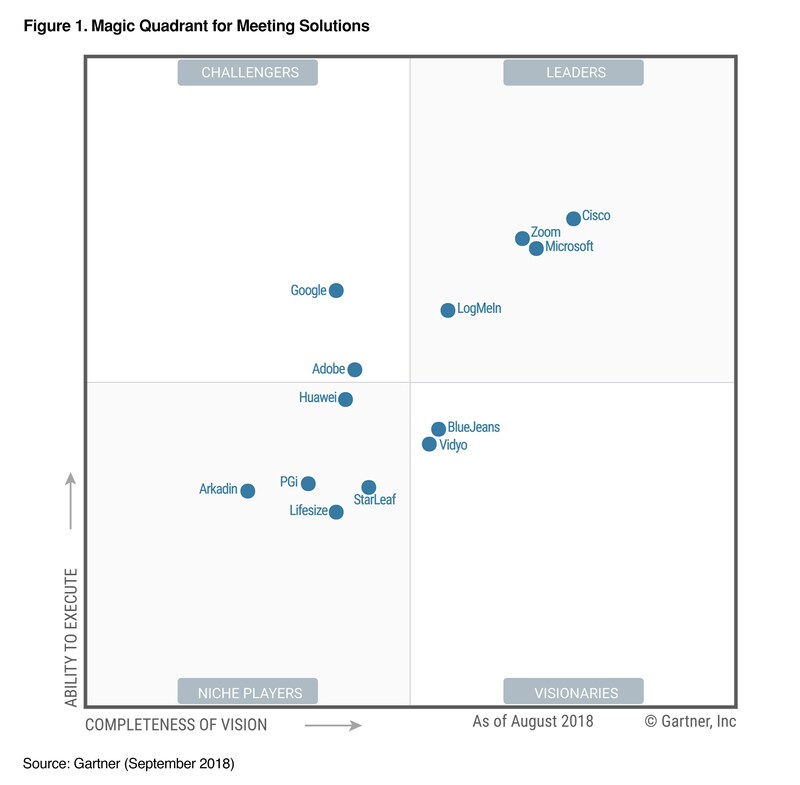 Gartner Magic Quadrant for Meeting Solutions, Mike Fasciani, Adam Preset, Tom Eagle September 2018. Gartner Critical Capabilities for Meeting Solutions, Tom Eagle, Mike Fasciani, Adam Preset October 2018. These graphics were published by Gartner, Inc. as part of a larger research document and should be evaluated in the context of the entire document. The Gartner document is available upon request from Cisco. Gartner does not endorse any vendor, product or service depicted in its research publications, and does not advise technology users to select only those vendors with the highest ratings or other designation. Gartner research publications consist of the opinions of Gartner's research organization and should not be construed as statements of fact. Gartner disclaims all warranties, expressed or implied, with respect to this research, including any warranties of merchantability or fitness for a particular purpose.